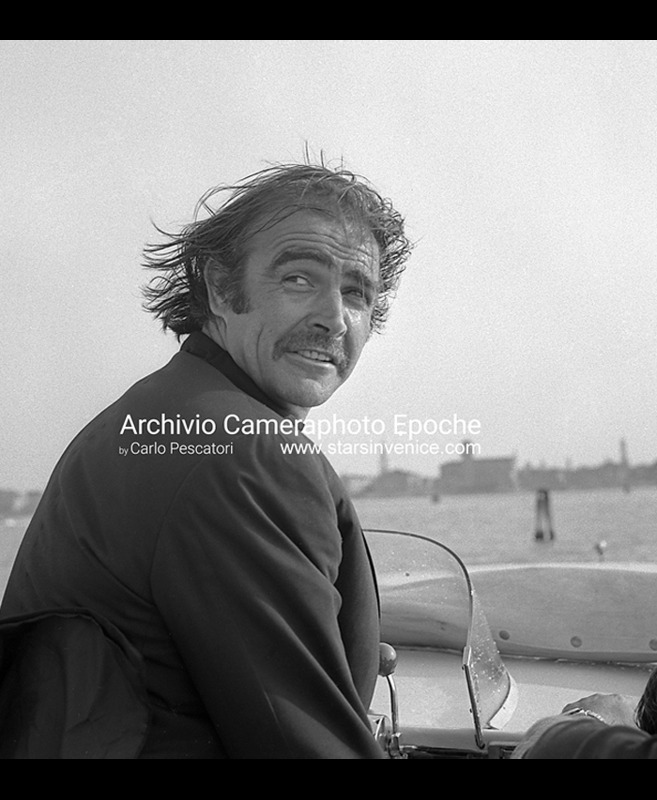 Sean Connery looks at boats he left behind after taking command of his water taxi in the Venice lagoon, 1970s (Photo by Archivio Cameraphoto Epoche / © Carlo Pescatori). 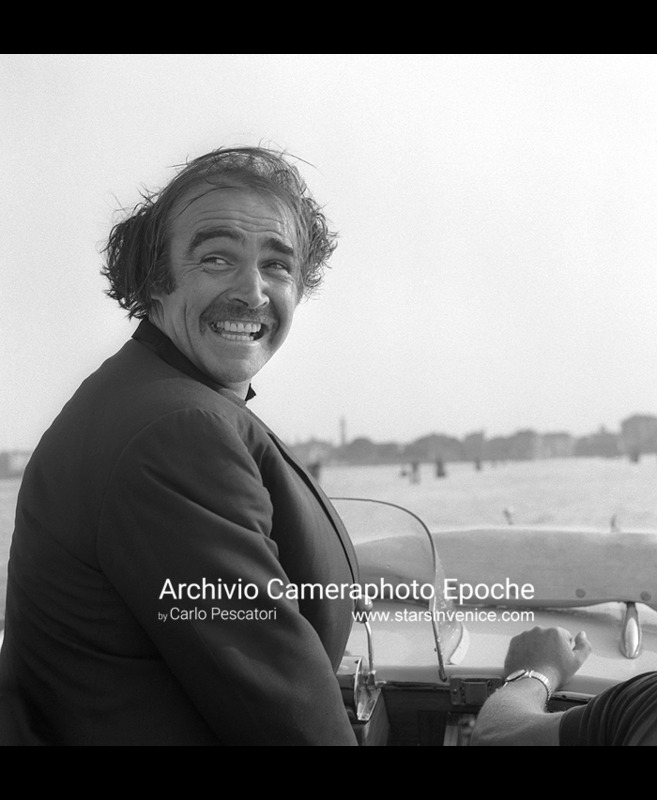 Sean Connery looks for a comb, his hair in a mess after the Water Taxi Race in the lagoon, Venice 1970s (Photo by Archivio Cameraphoto Epoche / © Carlo Pescatori). 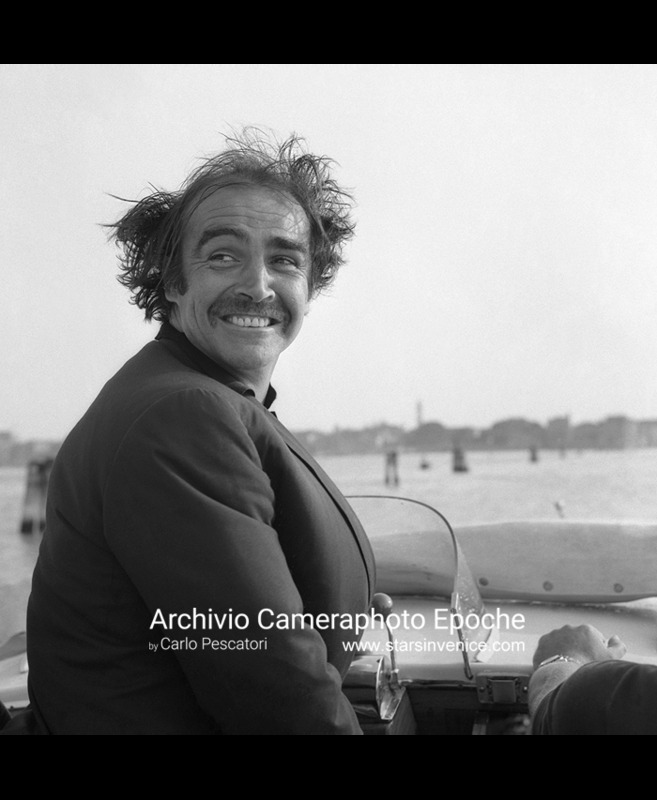 Sean Connery, his hair in a mess after the Water Taxi Race in the lagoon, Venice 1970s (Photo by Archivio Cameraphoto Epoche / © Carlo Pescatori). 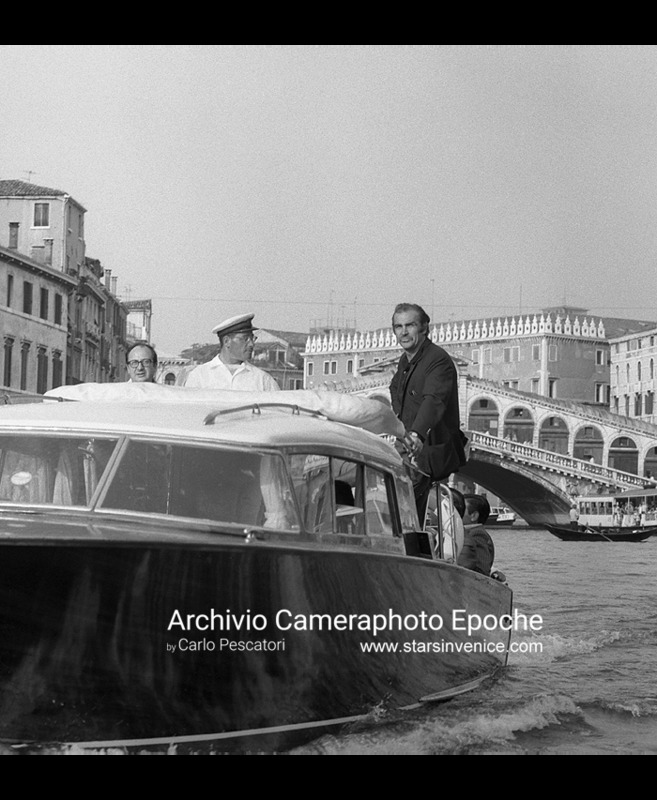 Sean Connery takes command of his water taxi in the lagoon, Venice 1970s (Photo by Archivio Cameraphoto Epoche / © Carlo Pescatori). 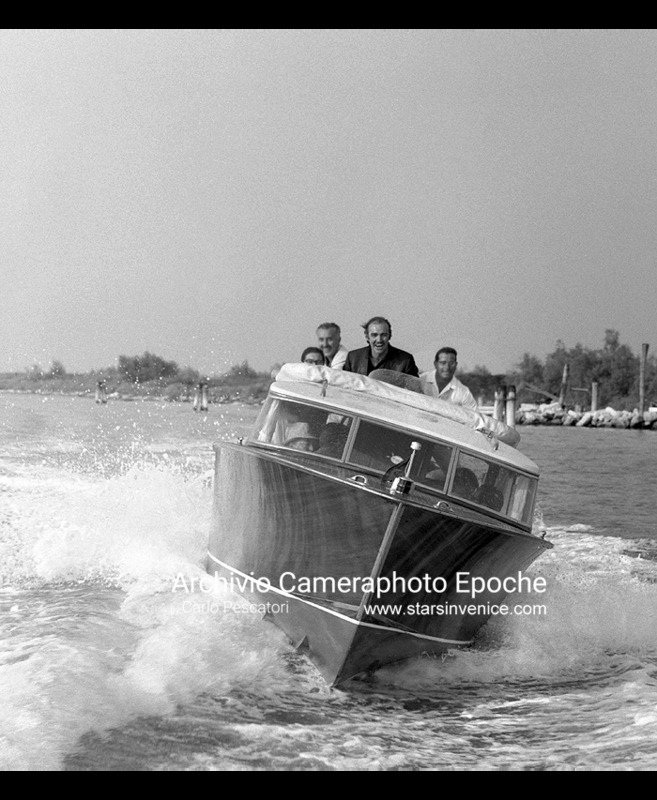 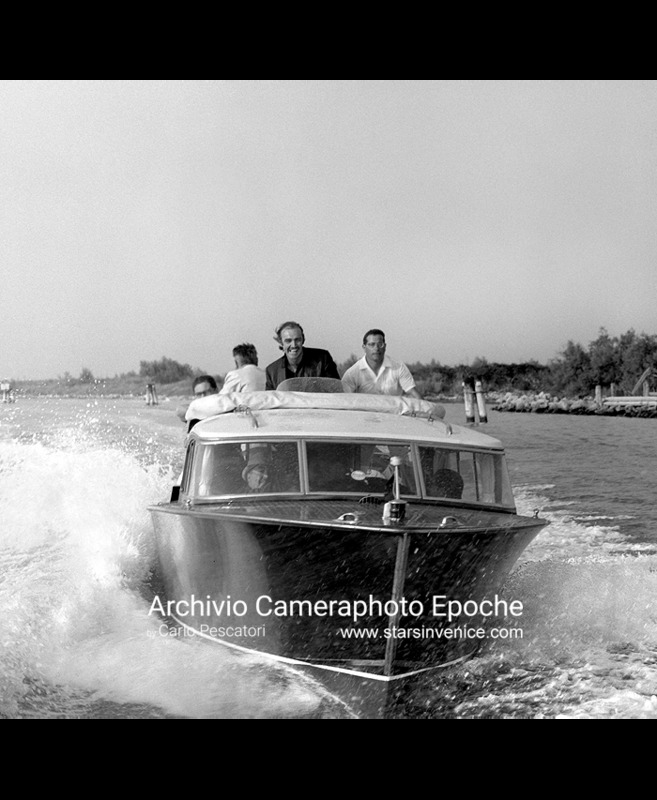 Sean Connery races a water taxi in the lagoon, Venice 1970s (Photo by Archivio Cameraphoto Epoche / © Carlo Pescatori). 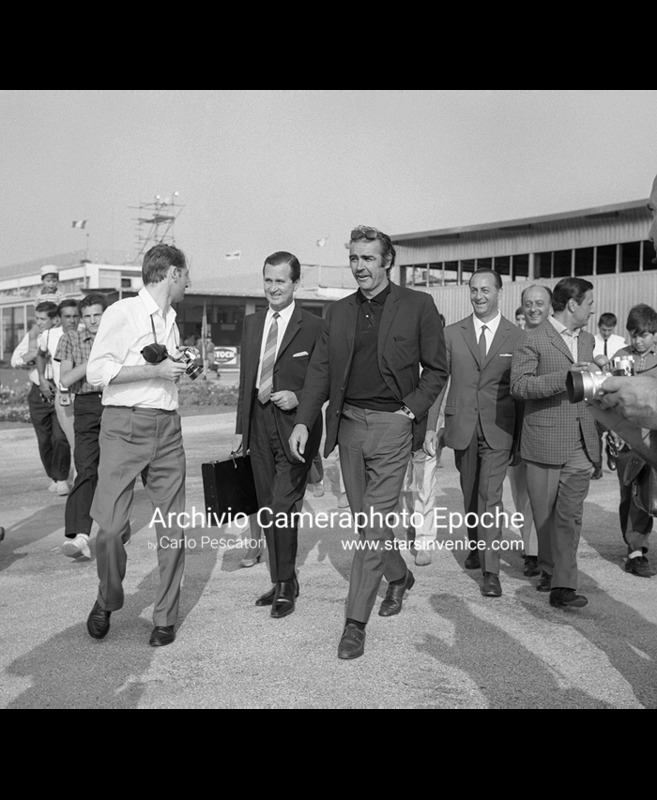 Sean Connery walks outside Venice's mainland Marco Polo airport, surrounded by photographers and fans. 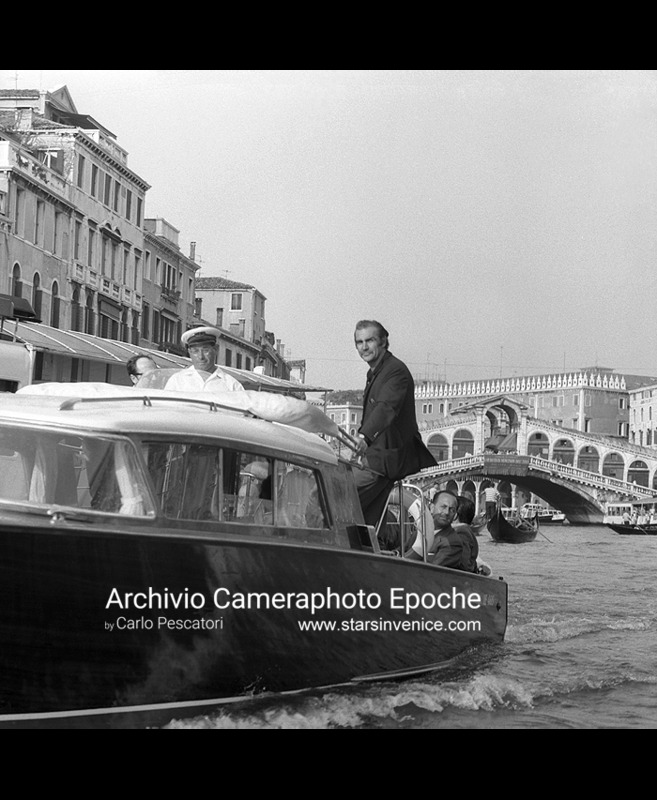 Venice 1970s (Photo by Archivio Cameraphoto Epoche / © Carlo Pescatori). 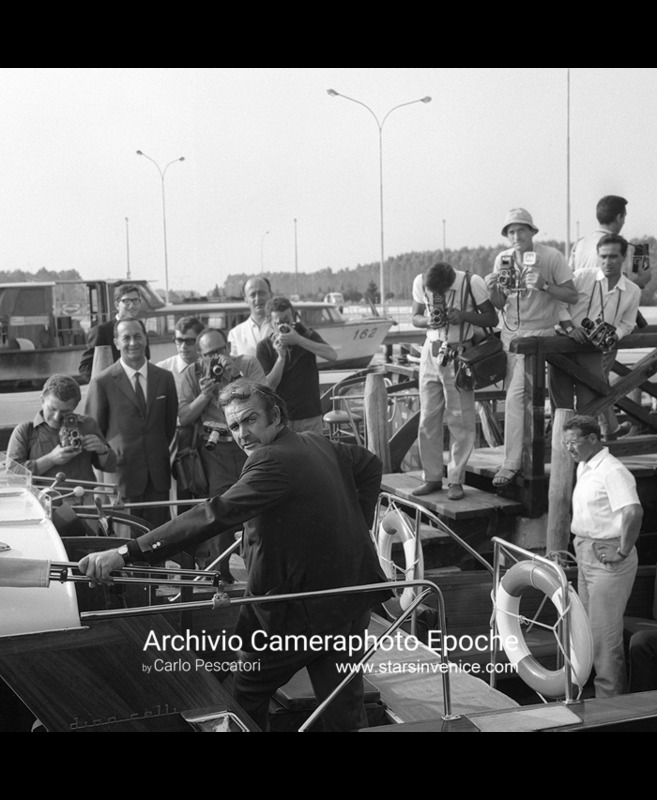 Sean Connery stands on a water taxi surrounded by photographers on the Venice's airport wharf, 1970s (Photo by Archivio Cameraphoto Epoche / © Carlo Pescatori). 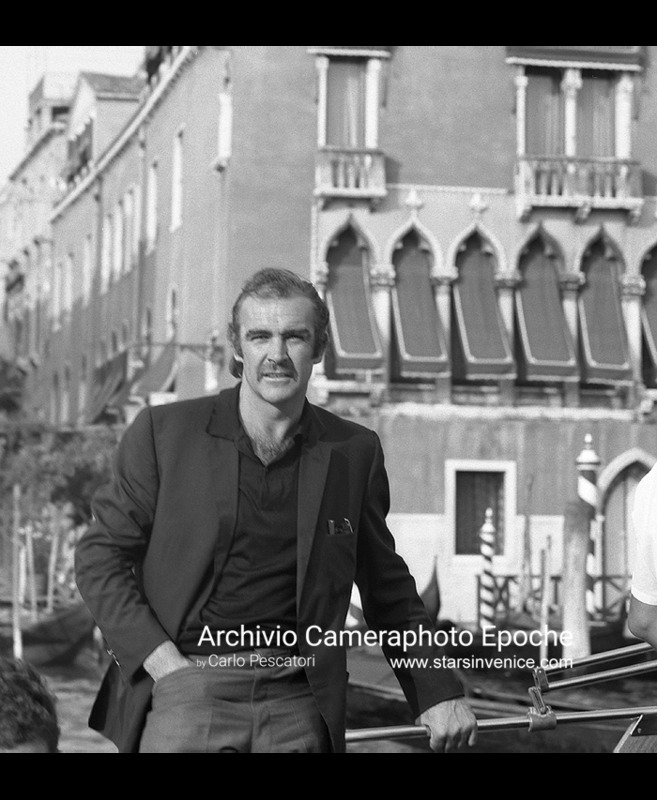 Sean Connery stands on a boat on the Canal Grande, gondolas behind him, Venice 1970s (Photo by Archivio Cameraphoto Epoche / © Carlo Pescatori). 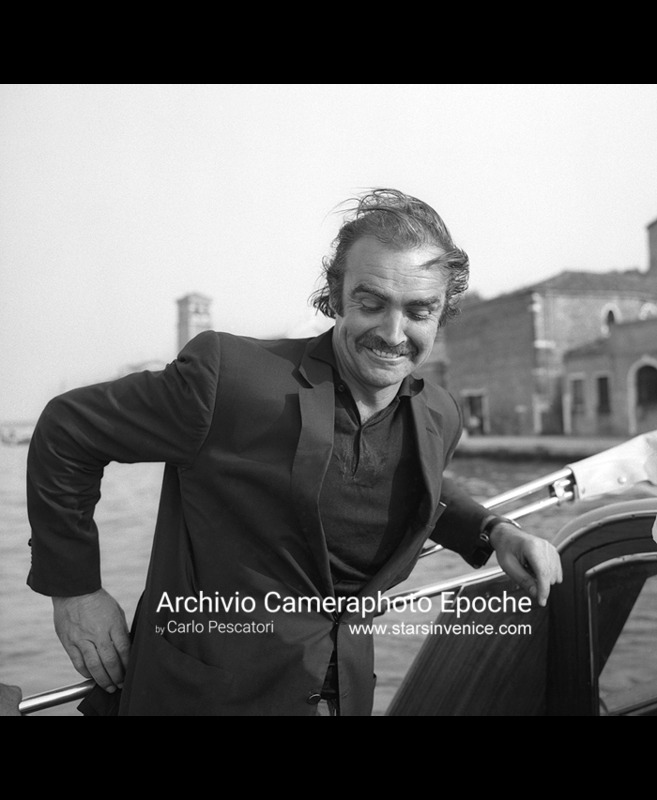 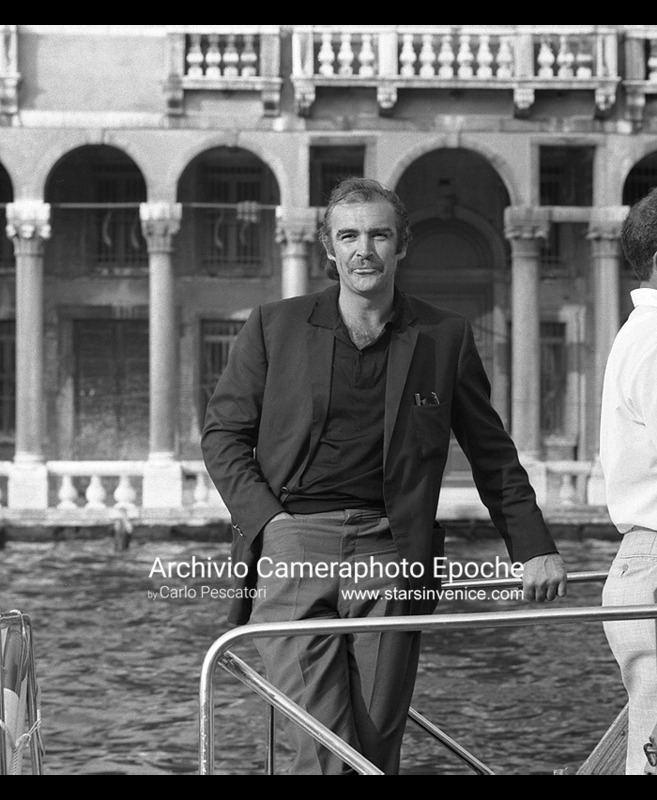 Sean Connery on a boat on the Canal Grande, a venetian building behind him, Venice 1970s (Photo by Archivio Cameraphoto Epoche / © Carlo Pescatori). 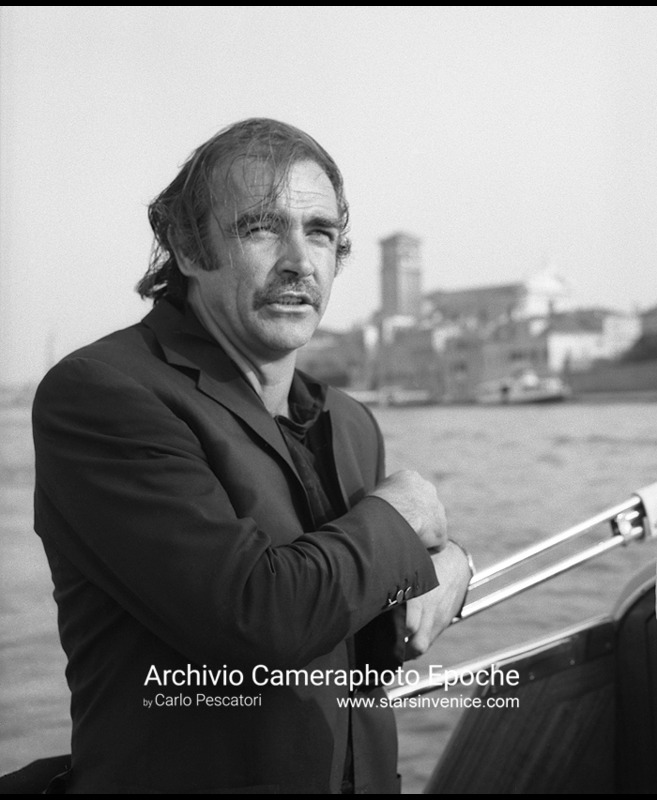 Sean Connery stands on a water taxi, Rialto bridge and gondolas on the background, Canal Grande, Venice 1970s (Photo by Archivio Cameraphoto Epoche / © Carlo Pescatori). 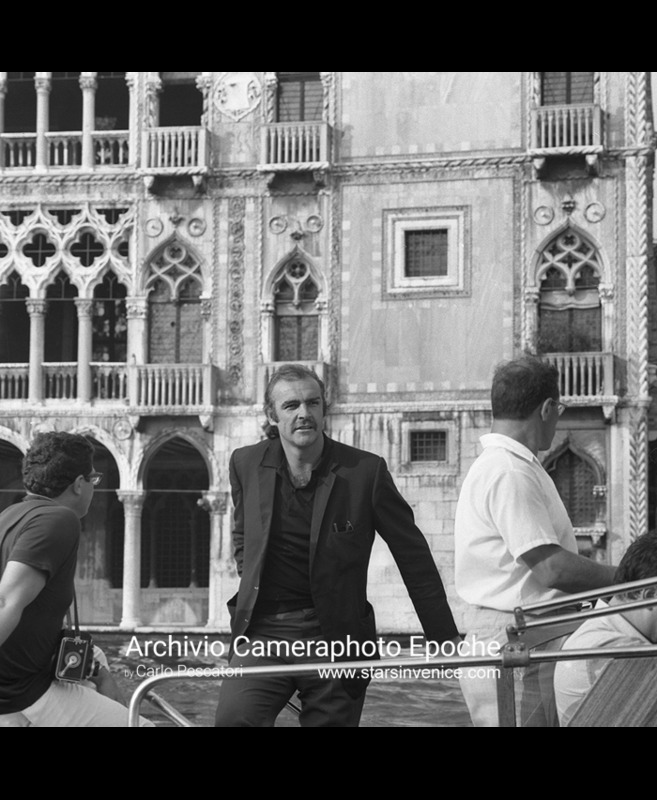 Sean Connery on a water taxi along Venice's Grand Canal, the Ca' d'Oro palace behind him. 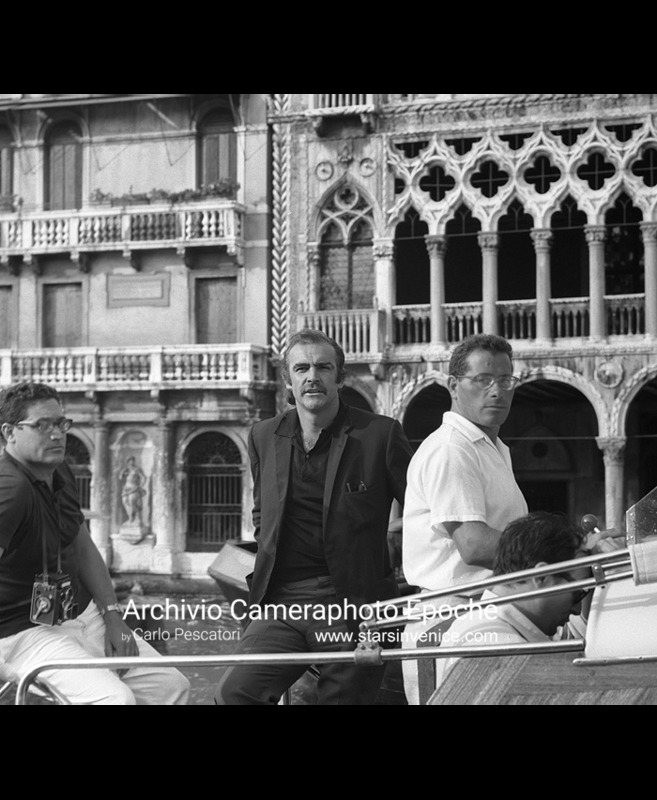 Venice 1970s (Photo by Archivio Cameraphoto Epoche / © Carlo Pescatori). 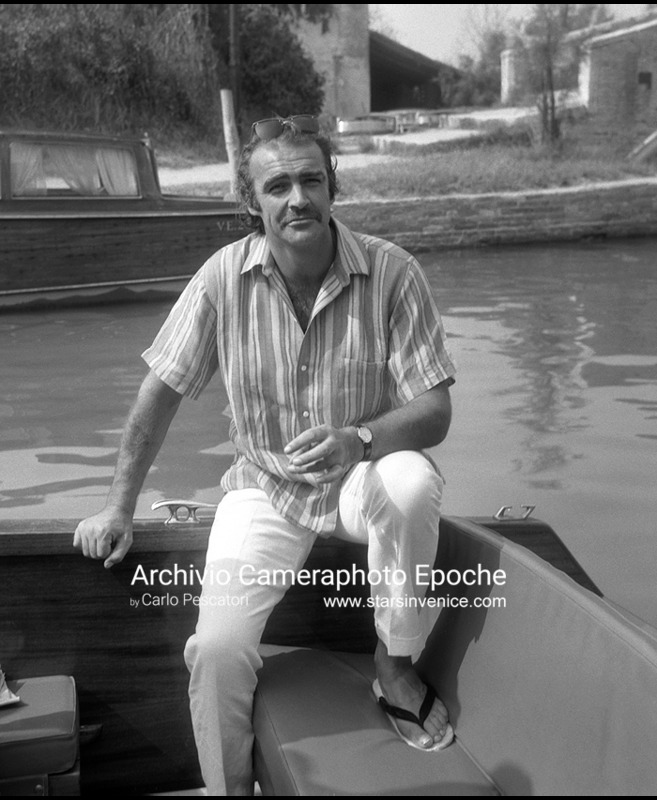 Sean Connery on a watertaxi, Venice Torcello 1970s (Photo by Archivio Cameraphoto Epoche / © Carlo Pescatori). 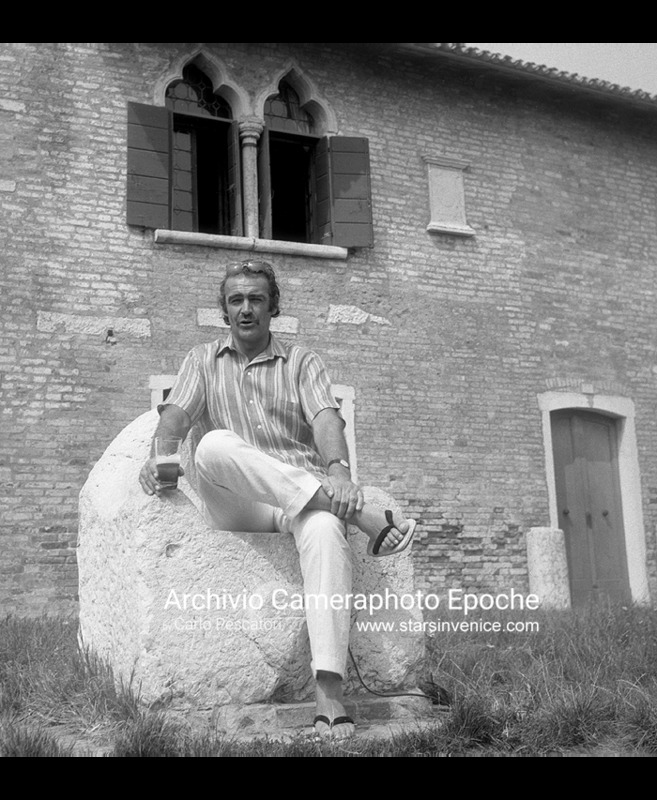 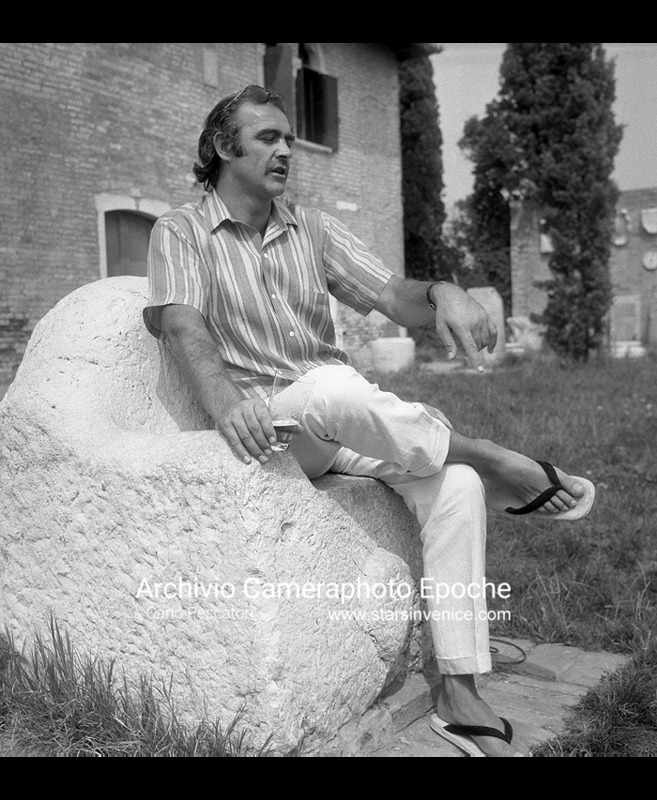 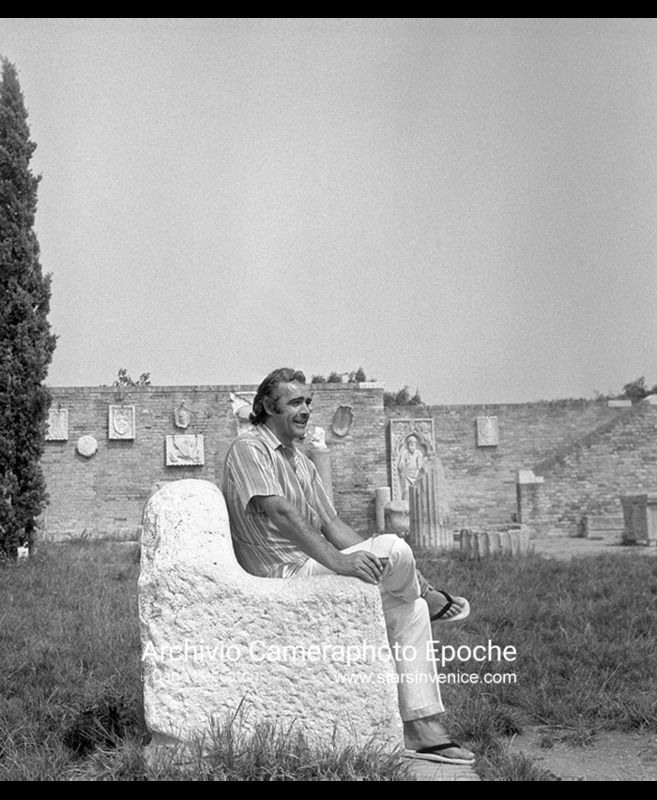 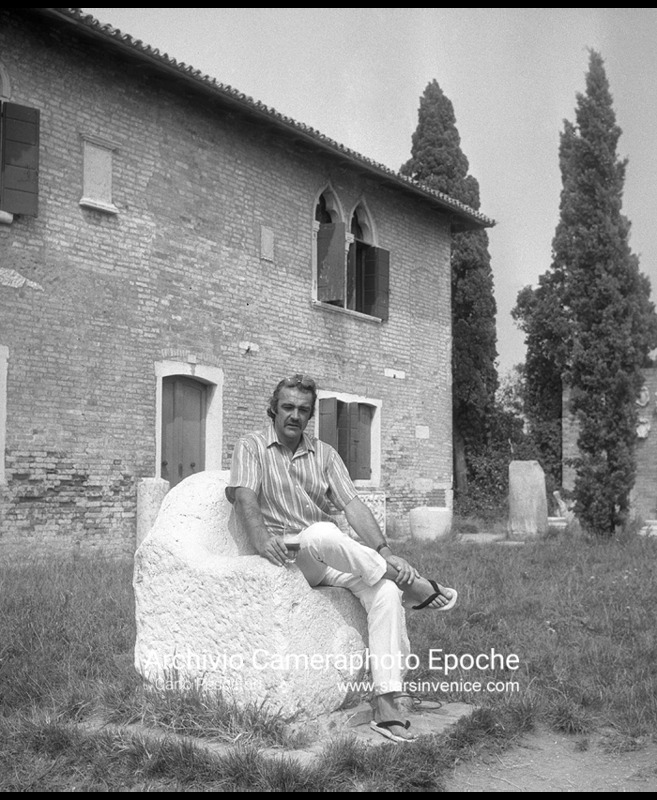 Sean Connery holds a drink while sitting on the "Attila's throne" stone chair, Venice Torcello 1970s (Photo by Archivio Cameraphoto Epoche / © Carlo Pescatori).